Q. 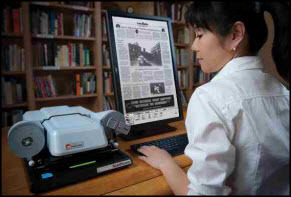 Where are microfilm readers located? Leavey Library has a reader in the Administration Suite, Room 113. Access to the reader is available by appointment only. You can schedule an appointment at the Leavey Circulation desk or email idd@usc.edu. All machines are attached to computers and can create PDF files.